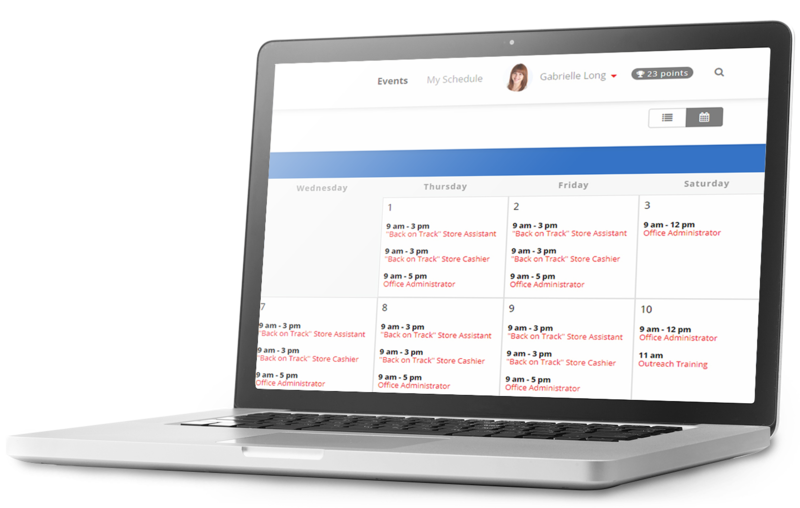 Simplify scheduling, organization, and reporting by having your volunteer sign-up calendar online with VolunteerHub. No More Handwritten Volunteer Calendars! Does your nonprofit desire to publish volunteer events online? There can be many tangible benefits in doing so; however, many nonprofits struggle with the perceived technical issues of such volunteer systems. With VolunteerHub, you can instantly schedule volunteers on the web by linking to your VolunteerHub portal – no technical background required. The VolunteerHub platform was designed specifically for the needs of nonprofits. Unlike traditional handwritten volunteer calendars, VolunteerHub provides a centralized, web-based volunteer management system that plugs in seamlessly to your existing website. Volunteers can review upcoming events while administrative teams can review events which require more people. Our volunteer signup calendar also offers more advanced features, allowing your users to customize event details. VolunteerHub allows you to set up user groups, enabling certain users to publish events without modifying the events of other groups. Use the sub-event feature to list specific duties, shifts, and details pertaining to each volunteer opportunity. In addition, VolunteerHub allows you to set restrictions on attendees based on group or individual criteria. Ready to Start Managing Volunteers Electronically? 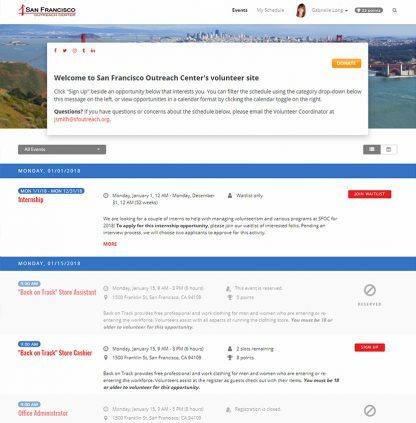 We offer several ways for nonprofits to “preview” our online volunteer scheduling software. Our team would be glad to provide you with a live demo of the software, or you can get started now. Keep in mind that scheduling is just one of the many features that are included in your subscription to VolunteerHub. To learn more about our volunteer scheduling software and the many other features of VolunteerHub call (877) 482-3340. By having your volunteer calendar online, you empower your nonprofit through streamlined efficiencies. VolunteerHub is available for nonprofits across many different industries! We’re confident that you will love it – get started today by clicking the link below or calling us at (877) 482-3340.